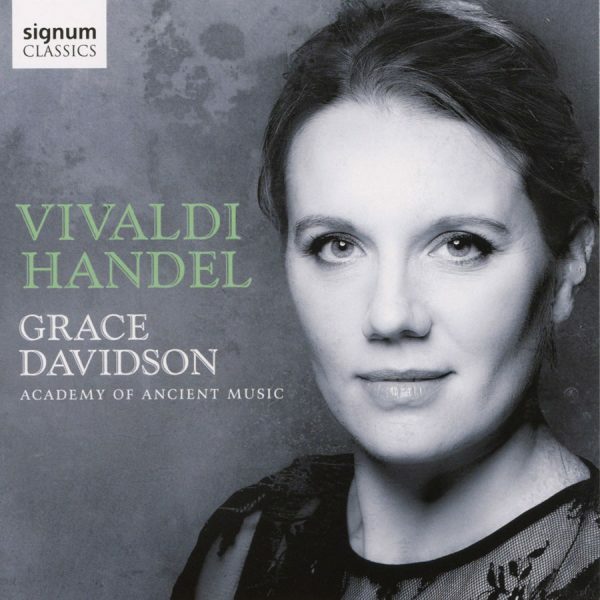 Prior to receiving this CD for review Grace Davidson was known to me chiefly as a member of The Sixteen. Most recently I enjoyed her singing on Royal Welcome Songs for King Charles II on the Coro label. This is Grace Davidson’s first orchestral recording and for it she is joined by the Academy of Ancient Music, whose artistic leader is the cellist, Joseph Crouch. This disc contains three works by Handel: Gloria in Excelsis Deo, Silete venti, HWV242 and Salve Regina, HWV241 and Vivaldi’s Nulla in mundo pax sincera, motet for soprano, strings & continuo, RV630. Grace Davidson has a most wonderfully pure soprano voice and always displays faultless technique. She seemingly effortlessly performs these sacred motets and the Academy of Ancient Music provide excellent backing. The acoustic of All Hallows in Gospel Oak, London seems ideal for this type of work and the performances have been captured in very good sound by the recording engineers. Indeed listening to this CD I was swept along by the sheer beauty of Grace Davidson’s singing and found the experience to be thoroughly experience. However, in the final analysis, I think that something was missing. I would prefer to pick up a greater sense of emotion and drama. For example, reflecting on the first work, Handel’s Gloria, my thoughts turned to the intimacy and flair shown by Sophie Bevan in her recording with Bridget Cunningham’s London Early Opera. In summary if you are happy to experience these works sung with great beauty and purity of tone then you will be very pleased with this issue. However, if like me, you are looking for a performance that is perhaps more operatic and readily conveys the meaning of the texts then you should probably look elsewhere. Nonetheless it is good to have Grace venturing in to this repertoire and I look forward to her releasing further recordings of this type. Stream on Spotify. Purchase from Amazon.